So Khara has just opened a Youtube channel, here. Their first video is what seems to be an absurdedly cute adaption of Moyoco Anno's "Insufficient Direction", about her married life with Hideaki Anno. It was posted just 2 hours ago. I'd be glad if someone can translate it. Omg, that video is so cute. I really liked the Insufficient Direction series, but this "bonus episode" or w/e seems more down to earth; the style and animation are beautiful and it shows ONE OF HER CATS!! Really wish... I could understand it. Last edited by Zeruss on Fri Jul 28, 2017 6:01 pm, edited 4 times in total. Oh wow, it's an animated adaptation of the comic that Moyoco Anno drew for Kabushikigaisha Khara 10 Shuunen Kinen Sasshi, a booklet from an exhibition celebrating Khara’s 10th anniversary in 2016. Very cute! You are right Literary Eagle! That's where I read about it before--Thank you so much for the info and the review! It also seems that an animated version (the one that was made available today on khara's youtube channel) was produced+released at the same time during khara's 10th anniversary exhibition in November last year. By the way, Moyoco's twitter has shared the full digital version of the comic for everyone's delight! Wish I could... edit a translation in english--It's so CUTE!! I don't speak Japanese but I know enough about the production of Rebuilf to know a good allegory when I see it. They were all working together to pull the giant radish that was Evangelion Q out of the hole. And director kun injured himself doing so. Clearly an indicator of Anno mentally exhausting himself after Evangelion Q. Of course then the appearance of Hayao Miyazaki made me bust a gut laughing. Especially given how he's animated relatively realistically compared to the cartoon Chibi characters everyone else is. Last edited by Ray on Fri Jul 28, 2017 11:02 pm, edited 1 time in total. It's the history of Khara/the Rebuilds in a glorious animated format! And confirms a lot of my suspicions like Anno feeling they needed to really up their game & do something more original after 2.0 & the joys of the Animator Expo rejuvenating him. I need to know when/if this gets subtitled! This was amazing and super cute! Thanks for sharing, I wouldn't have found out otherwise! Is there any translation of it? The part after Ha came out looks interesting. Anno's depression represented as physical injuries made me sad. This was a very cute and touching short from what I gathered. Loved it as much as the Insufficient Direction shorts! Pardon me for asking this, as maybe I should know this as an Evageek, but just who is that bald man wearing the Unknown Pleasures shirt??? I must know! That short was completely adorable. For anyone interested, here's a subbed version! Credit goes to Noroino Hanako for both the translation and editing (here's the original reddit post). 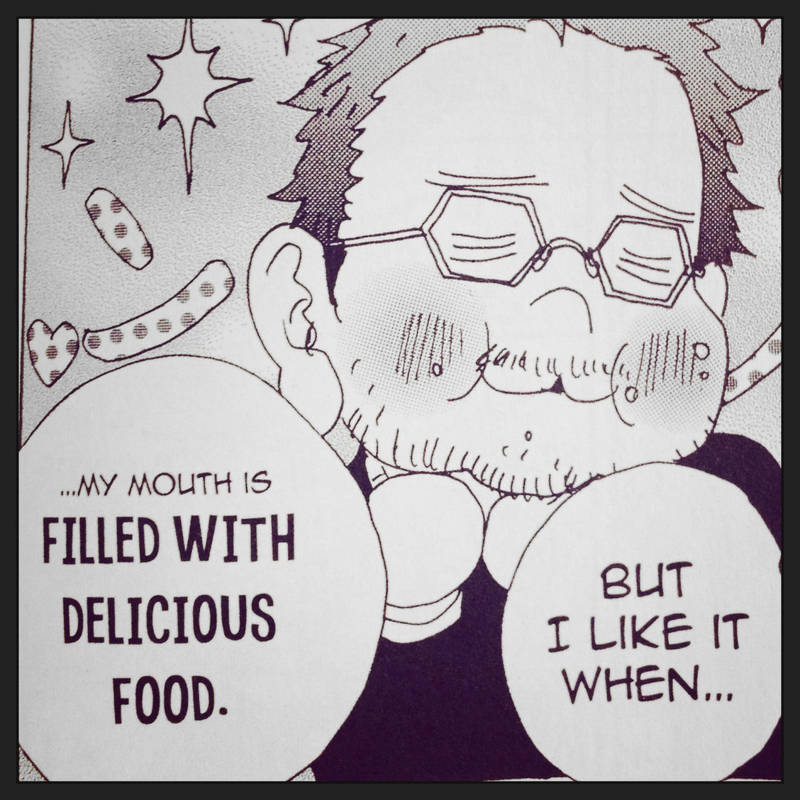 Can't see Anno as picky eater in real life; also wasn't aware that Moyoco came up with studio khara's name--And Miyazaki being called 'Super Old Man' is absolutely hilarious. Food was used as a metaphor for anime/movie production, maybe Anno was simply uninterested in what he was working on at that time with Gainax. Or is literally about food, he overcome a complex relationship with it and even put it in 2.0. Oh, I meant it as a reference to his weight woes scattered throughout 'Insufficient Direction', where he's portrayed as having some... unhealthy snacking habits--I'd like to think that he's worked them through, and it's not just a visual metaphor; after all, he's been looking very healthy and his fashion is on point as of late, no doubt with some effort and nudging from Moyoco (and their cats). Zeruss wrote: For anyone interested, here's a subbed version! Btw, anyone else noticed that Anno's face is sillhouetted by the sun near the end, just like Shinji's (in ~24/Rebirth? )?